Now that the official 40-day celebration is over, the question is what to do with this blog. Following long consultations among the senior 40b40 advisors and a legally mandated public consultation period, it has been agreed that the blog will continue to discuss and describe Belgian beers. The pace will slow -- as you would expect from an aging author -- so don't count on daily posts. But as new beers are consumed, they will be reviewed here. 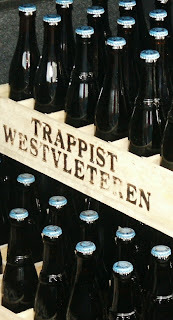 Belgium has over seventy-four million different brands of beer, so there is plenty of material to blog about.